Image by papaija2008 at FreeDigitalPhotos.net. This Sunday in most of the U.S., we will be turning our clocks forward one hour. The Spring time change tends to less disruptive than the one in the Fall. At this time change, it’s easiest for most of us to do nothing in preparation – just change the clocks on Sunday am – perhaps because it’s easier to wake someone (thank you, alarm clock) than force him to stay asleep. If that approach doesn’t appeal to you, you can start moving everything in your child’s routine earlier by 10-15 mins each day now to gradually adapt to the one-hour time change. I always get turned around when trying to figure out these time changes. When we “spring forward” we turn our clocks “ahead” one hour, but for our bodies, it will feel like we are doing everything one hour earlier. So that means, what used to be 6am becomes 7am. If our kids are accustomed to waking at 7am, then beginning on Sunday morning, their bodies will likely wake them naturally at what will then be 8am. Or if you ask them to continue to rise at 7am, to their bodies, it will feel like 6am. Confused yet? If you have an early riser who may be used to waking around 5:30am, you may luck out and find that she wakes on Sunday closer to 6:30 am! Just like that, you’ve gained an hour in the morning. Similarly, if you feel like your child’s bedtime has slipped later than you would like, seize upon this opportunity to shift to an earlier bedtime. After the time change, 7pm will feel to your child’s body like 8pm. In order to build on these wake-time and bedtime changes, it’s important that you move all the other activities in your child’s day to the new time on Sunday. Plan your naps and meals at the same time (by the new clock) that you used previously. 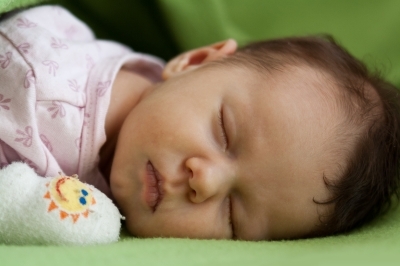 For most children under 18 months, their first nap will be within two hours of waking. For kids taking only one nap per day, nap time usually falls about 4-5 hours after waking for the day. Keep meal times consistent, too. Your child’s naps may be off a bit the first few days, so if you have a less-than-ideal day of naps, move bedtime earlier that night to make up for it. After a few days following the new routine consistently, your kids will likely be right back in the swing of things – hopefully with your ideal bedtimes and wake-times. If not, give us a call. Good luck! Very informative post here! I personally always have a hard time “springing forward” rather than “falling back” – my body DEFINITELY thinks it’s an hour earlier. These are some great tips for getting back into the swing of things!